NEW YORK (CNS) — When you play the video game “Race the Sun” (Flippfly) for the first time, it’s easy to get the impression that you’ve been ripped off. Here is a minimalistic game that consists of exactly what its title suggests: rushing toward the sun in a solar-powered spaceship. If you hit an obstacle or don’t keep up sufficient speed to tap into juice from the setting orb, you’re finished. Put that way, “Race the Sun” doesn’t sound like much, especially in the modern era of breathtaking graphics and level upon level of complex challenges. But given a chance, the game, which was has been playable on PCs for a couple of years and has now been released in Sony PlayStation and Vita versions, can quickly get under your skin. There’s something hypnotic about flight, which is why so-called “endless runner” titles are still popular. 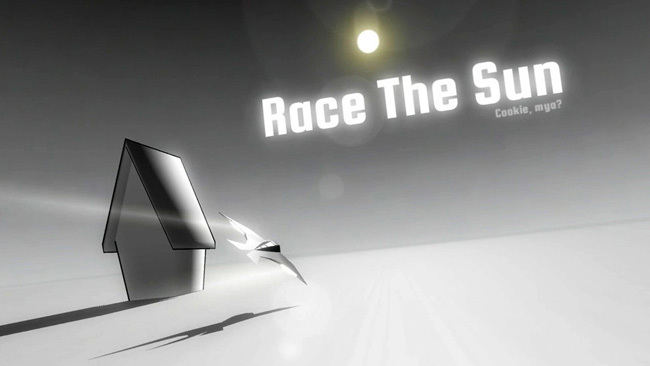 “Race the Sun” is also a nice throwback to simpler and more innocent gameplay. There is nothing morally objectionable at all about “Race the Sun;” the game can be enjoyed by all ages. Admittedly, it only has a shelf life of a few days or a couple of weeks. Still, at less than $10, it’s cheaper than most movies. There is no back story to “Race the Sun.” The game starts when your spacecraft suddenly zooms into view. The landscape doesn’t look like Earth. Rather, it resembles a flat desert outpost. You run across grey geometric shapes and have to maneuver over and around them. The speed is quite rapid, and increases when you do barrel rolls. Crashes are frequent, but there’s no blood involved. Indeed, the futuristic atmosphere is eerily arid. There are shafts of energy, both green and yellow, that allow you to pick up speed or jump over blockades. Eventually flyers can move into other dimensions and ultimately into space. But even there the impediments are the same — it’s just like the desert landscape, only dark. “Race the Sun” is a good example of less being more. Video game designers are all trying to outdo each other, competing to see who can come up with the most violent simulation of warfare — and the least modestly outfitted women. “Race the Sun,” by contrast, is an old-school game like “Pong” or “Pac-Man.” For a reasonable price you get to lose yourself for a few days in an alternate universe. Better yet, while there, you may even boost your eye-hand coordination.